Located on a 12 acre site on the Andersonstown Road in the west of Belfast, Casement Park is one of the largest stadia in Ulster (at 32,500 seat capacity), hosting football and hurling matches. The stadium will be redeveloped into a 38,000 all-seated venue, which will become the largest stadium in Ulster and a regional flagship for Ulster GAA. 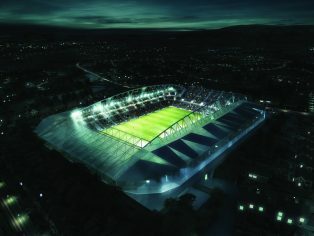 Populous’ design will provide a more accessible stadium building and new and improved facilities to serve the needs of the GAA’s, players and the local community, with up to 2,000 sq m of dedicated community space. 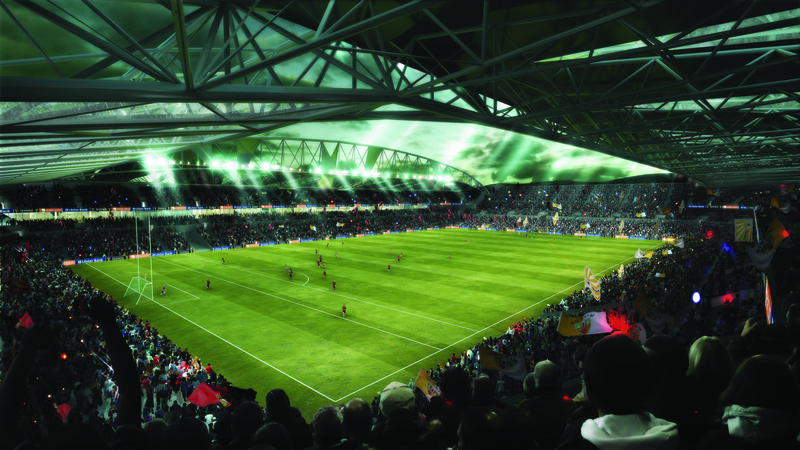 The redevelopment will introduce 2,000 premium/corporate level seats and aims to secure additional major fixtures. 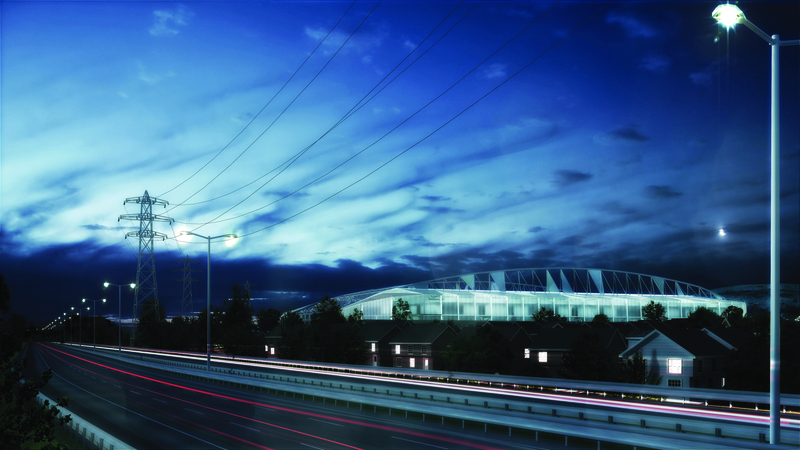 It incorporates facilities to support a range of sporting and non-sporting uses, maximising the economic and social sustainability of the stadium. Belfast is Ireland’s second city, with a population now heading towards 580,000. Along with Dublin, it now forms a corridor which is increasingly significant in Ireland’s social and economic life. 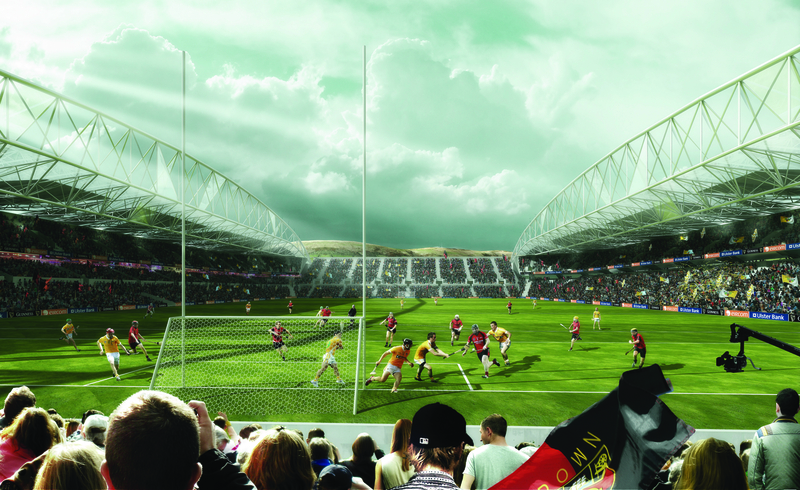 The redevelopment of Casement Park stadium is one of three projects as part of the strategic stadium programme, sponsored by the Northern Ireland Executive, through the Department of Culture, Arts and Leisure, and will provide a significant number of local jobs and training opportunities. 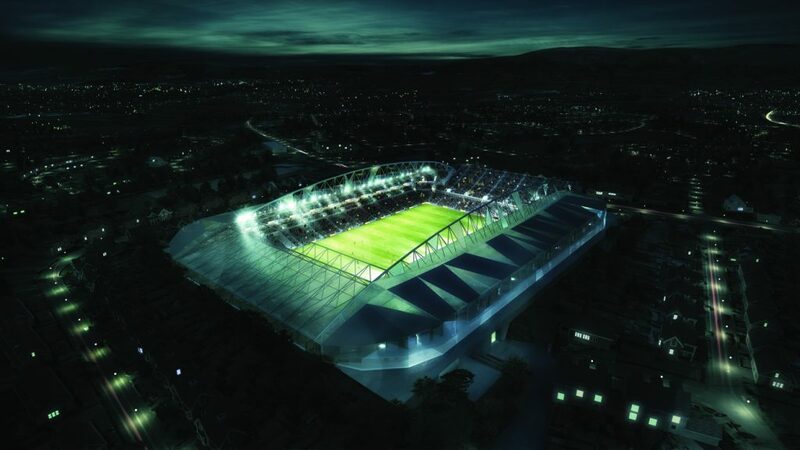 The redeveloped Casement Park stadium is expected to open in late 2016. It is planned for the stadium to host the 2016 Ulster GAA Senior Championship Finals.